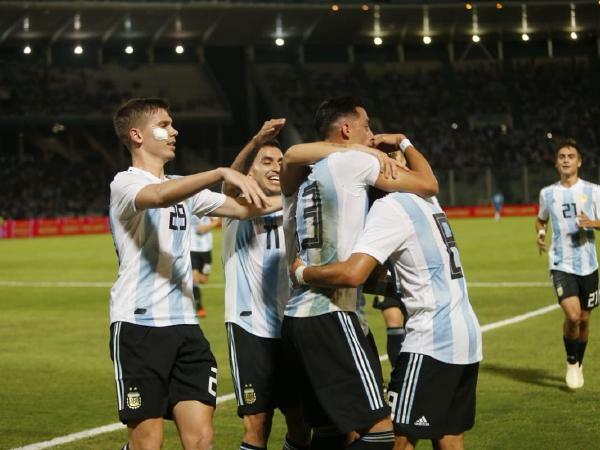 Ramiro Funes Mori scored the second goal of his international career as Argentina defeated Mexico 2-0 in their international friendly here on Friday. Funes Mori capitalized on poor Mexico defense to head in uncontested from close range after receiving Paulo Dybala's floating free-kick at the Mario Alberto Kempes stadium in the central Argentine city. Meanwhile, defender Kendall Watson scored twice in Costa Rica's 3-2 away victory over Chile, also on Friday.